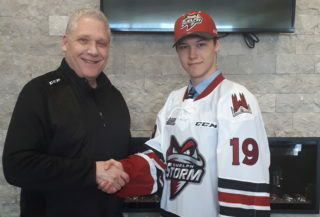 The Guelph Storm announced today that captain Garrett McFadden is the Player of the Week for the week ending November 5th, 2017. Recording three points in two games, McFadden and his defence partner Ryan Merkley led the way offensively for the Storm this past weekend. The overager’s best game of the week came on Saturday in Flint where he forced overtime with a late third period goal and assisted on McEwan’s game winner in the extra frame. 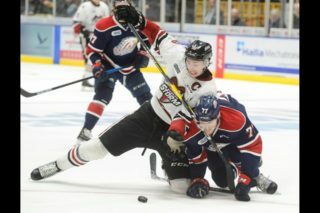 In Kitchener on Friday, McFadden scored the lone Storm goal in the 4-1 loss. So far this year, McFadden is second on the team in scoring with 13 points and tied for first in goals scored with five. All five of his goals have come with the man advantage, the most of any Storm player. 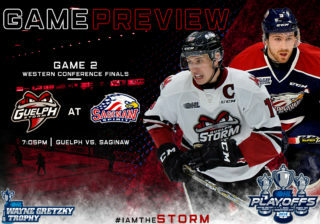 After a weekend away from the Sleeman Centre, the Storm play host to North Bay and Sudbury this coming weekend. North Bay visits the Eye of the Storm on Friday night at 7:30pm and Sudbury is in town on Sunday for a 2pm start. 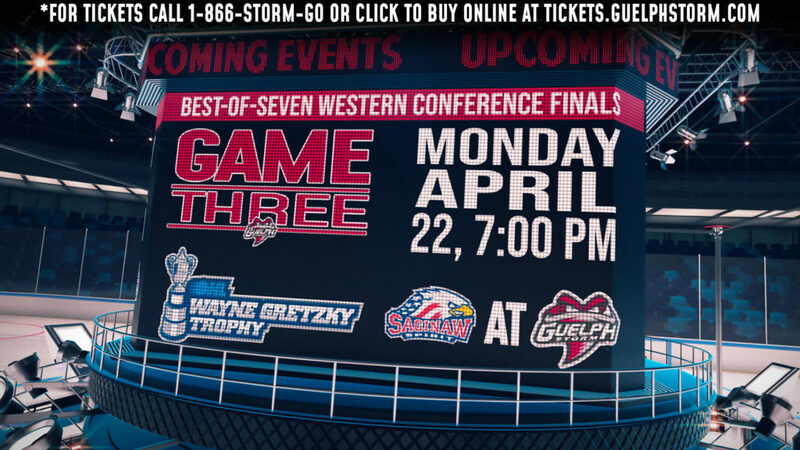 Tickets are still available for both games and can be purchased online or by visiting or calling the Guelph Storm Box office at 519-837-9690.